Perennial Financial Services distinguishes itself by offering a specialized approach to total wealth management by adhering to the belief that no single advisor can specialize in all facets of financial planning. At the heart of our philosophy is the fundamental belief that specialized knowledge and expertise will ultimately produce a superior and higher quality total wealth management strategy. Like our name, Perennial, our team is committed to developing deep, longstanding relationships with our clients by delivering sound strategies for building, preserving and transferring wealth from generation to generation. Confidence is earned through our ability to ascertain objectives on a case-by-case basis, serving in partnership with our clients to optimize their entire financial picture. We maintain a high standard of excellence through an emphasis of specialized knowledge and thoughtful innovation. We believe that through this disciplined process and insight, we can ultimately achieve success for our clients. Financial planning can be a life-long process that assists you and your family in taking control of your financial future. Each of our clients is unique. We take the time to know them and to tailor our advice to their unique needs and desires. We provide clients with and review regularly a unique strategy determined by overall risk tolerance, time horizon, goals, and objectives. We work with our clients to create an optimal, tailored plan configuration, helping to provide a customized fit for their employees. Constructing comprehensive wealth preservation and transfer strategies, we provide clients with guidance in many financial areas of life. How much do you know about one of the most important tools you have to help protect yours and your family’s financial future? Why Work With a Hybrid Advisor? The financial services landscape is constantly evolving. As the industry evolves, so must the advisor. Hybrid advisors or “dually registered advisors” operate as investment advisor representatives, typically charging fees for some clients, and as securities brokers, typically charging commission for others. Registered Investment Advisors have a fiduciary duty to always act in the best interests of their clients. Every client is different. As such, a client's advisor requires the flexibility to provide the products and services necessary to help a client work towards their investment goals and objectives. Flexibility is key. John, his wife Sara, daughter Delaney and son Austin currently reside in Tarzana, but remain highly involved in the Pacific Palisades where John served as the 2010-2011 President of the Palisades Chamber of Commerce and served on the Board of Directors and the Executive Committee of the Board of Directors for nearly 14 years. He has also served as First Vice President of the Palisades Americanism Parade Association (P.A.P.A. ), and the Palisades Posse to promote a safe business environment. In 2008, John was selected for inclusion in the "Cambridge Who’s Who" registry of executives, professionals and entrepreneurs. In 2016, John was once again named as a FIVE STAR Wealth Manager for the fifth consecutive year. This elite award is presented to less than 2 percent of wealth managers in the Los Angeles area 2. His financial commentary has been featured in the Grayhawk Flight Magazine, ThisWeekInThePalisades.com and The Palisadian-Post. Christopher A. Nowakowski helps simplify the complex financial situations that overwhelm many households. He creates solutions for the problems faced in our complex investment environment today. Chris began investing for himself in high school, building the foundation for his investment knowledge. 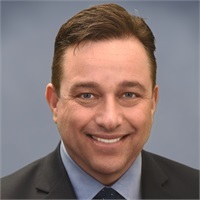 His professional career started at PaineWebber in Newport Beach, and continued with the company through its merger with UBS Financial Services, Inc. in Beverly Hills. It was through nearly 4 years of working at UBS that Chris mastered diversification strategies that allow clients to increase their return potential while reducing their risk exposure. Soon thereafter, Chris and his partner, John, started their own financial firm, Perennial Financial Services, with securities offered through LPL Financial, the nations largest independent financial broker dealer*. Chris was born and raised in Orange, California. He attended El Modena High School where he graduated in 1998. Chris was active in many varsity sports as well the Associated Student Body Athletic Commissioner. He also found time to raise and train guide dogs puppies with Guide Dogs of the Desert, help establish an inventory system with Habitat for Humanity and spent a summer as a student ambassador to Queretaro, Mexico all while reaching the highest rank, Eagle Scout, with the Boy Scouts of America. He then attended U.C.L.A. where he was a founding father of Sigma Alpha Epsilon Fraternity. He graduated in the spring of 2002 with the degree of Bachelor of Arts, with majors in Psychology and Economics. Currently, Chris resides in the Los Angeles community of Culver City. He enjoys traveling and participating in outdoor activities. Additionally, Chris is a member of the Santa Monica Elks, Lodge #906. Dane C. Streeter is the head of Family Legacy and Life Insurance Planning at Perennial Financial Services, specializing in how taxes and titling of assets play a huge role in one’s investments. 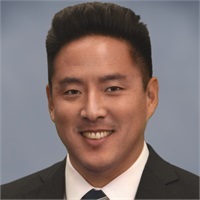 He holds the following registrations through LPL Financial, series 7, 63, 65 (Investment Advisor Representative), and California Insurance which represents his Fiduciary Standard of Excellence to each and every client. Dane begins by putting together a comprehensive independent financial strategy for each of his clients. This strategy includes guidance in the many financial areas of life including retirement, investments, insurance, tax planning, and estate planning. Dane helps his clients pursue their financial goals by building and working with each client’s CPA and Attorney. 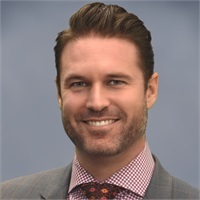 After moving to Los Angeles Dane sought to create an LPL Financial group of specialist advisors with uncompromising values and top notch service. His searches ultimately lead him to Perennial Financial another LPL Financial group. Dane believes Perennial’s business model will one day be the standard in their industry, with each head team member continuing to specialize in their area of Financial matters while offering independent advice. *As reported by Financial Planning magazine, June 1996-2014, based on total revenue. Brad B. Harris, AIF®, started his career with Waddell and Reed where he excelled as a financial advisor, but has been actively investing in the financial markets for over a decade. After gathering as much knowledge as possible from Waddell and Reed he took the next step in his career when he came on board with Perennial Financial Services and LPL Financial in early 2007. 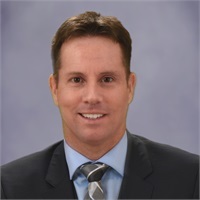 Brad is the head of retirement planning, specializing in customized retirement solutions for corporations, business owners, entertainers and athletes. He holds the prestigious AIF® designation which represents his person’s knowledge of a Global Fiduciary Standard of Excellence and their application of the global standard into his own practice. He is also a member of LPL Financial’s Retirement Plan Consulting Program (RPCP) allowing him to act as a "fee for service" advisor for corporate retirement plans, foundations, endowments and private trusts. He specializes in helping maximize corporate benefits, employee education and participation while pursuing the best investment choices at the lowest costs. Brad was born in Glendale, CA but moved with his family to Boise, Idaho when he was 10 years old, where he later graduated from Eagle High School in Eagle, Idaho in 1999. He then enlisted in the Navy, where he was stationed in Rhode Island. After successfully serving his country in the Navy he went on to attend Antelope Valley Community College, where he shined as a baseball star under the supervision of Coach Jeffrey "Hackman" Leonard, former San Francisco Giants and MLB outfielder for over ten years. He later finished his college career at California Lutheran University in Thousand Oaks, California in 2003. 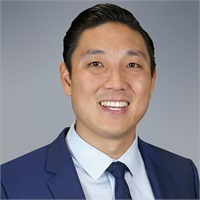 He also holds his Masters in Business Administration with an emphasis in Financial Planning from California Lutheran University. In his spare time Brad is a member of the Water Buffalo Club, a charitable organization "...dedicated to fostering the well-being of underserved and at-risk children in Los Angeles through its members' commitment of their time and financial resources. The WBC directly impacts smaller charities by providing grants, hosting events, and supporting youth programs..." in our community. Mr. Lawler has advised numerous business entities and helped individuals in strategic, financial, and tax planning. Mr. Lawler has his Juris Doctorate, Certificate in mediation, and is also a Certified Public Accountant. In addition to his accounting and legal background, he is also an LPL Financial Planner. Mr. Lawler holds a Series 7 license through LPL Financial. Mr. Lawler also holds a Series 66 license through LPL Financial and Perennial Investment Advisors; which covers investment analysis, recommendations and strategies, ethics, and legal guidelines. 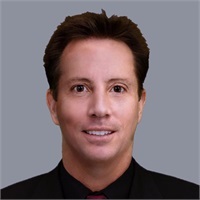 Mr. Lawler works with high net worth individuals, start-up to large companies, entertainment, technology, professional services, retail, wholesale, and real estate. Mr. Lawler’s commitment to excellence and comprehensive approach to problem solving has enabled him to develop strong relationships with his diverse clientele. Clients value his objective and logical advice on matters relating to financial decisions and tax implications that help them pursue their financial goals. James McCaffrey started his career in investments and capital markets with Kidder Peabody, in 1991, where he specialized in the institutional bond market and UHW individuals. After his tenure at Kidder, James commenced on a long career in trading and portfolio management in the domestic and international derivatives markets. At Hull Trading Company, after a very short apprenticeship, James accepted the post to trade a multi-million dollar portfolio on the CAC40 listed options and futures in Paris, France. As the founder of this office, James was the first American ever to be a member of and trade on the floor of the Bourse de Valuers. After a successful 2 ½ year stint in Paris, James was promoted to Senior Managing Director in charge of all European operations for Hull trading, LLC, in London, UK. From London, James traded and managed the portfolio for the FTSE 100 index options and futures, the CAC40 portfolio and managed the team trading the OM and DAX portfolios in Frankfurt, Germany. Intermittently, James would also trade the DAX index options and futures in Frankfurt. After five years abroad, James returned to the US and Chicago, IL, the home base for HTC. It was in Chicago that James began trading the credit derivatives of the 5 year, 10 year and 30 year bond options and futures on the Chicago Board of Trade. Further along in his tenure in Chicago, James would trade the OEX and SPX options on the Chicago Board of Options Exchange. On the trade desk, James would trade these products, as well as the associated products in the global portfolio at the AMEX and NYSE. He would also trade options and futures on the NASDAQ, S&P 500 and DJIA benchmarks. James has also traded the individual equity options and stock for many large, well known companies. James was also a founding member for the inauguration of the trading the DJIA index options and futures on the CBT and CBOE. James McCaffrey hails from Brooklyn, NY but has called everywhere home. He received a B.S. in Finance from Providence College in Providence, RI. After a few years of working, James returned to school and graduated with an MBA in Finance from Vanderbilt University in Nashville, TN. James holds Series 7 and 66 registrations with LPL Financial. Dennis draws on a broad education and experience in investment and financial services to deliver financial planning strategies suited to the needs of each client. He is able to take into consideration both short-term and long-term variables of investments, as well as your particular financial situation, goals and risk tolerance, to provide highly-personalized recommendations. 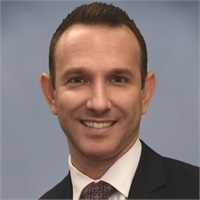 In doing so Dennis is oriented towards building long-lasting relationships with his clients, and maintaining those by dedicating himself to service and performance. 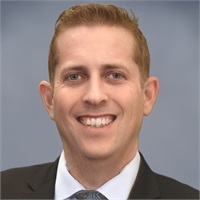 Dennis studied electrical engineering at the University of California, Santa Barbara and has a Bachelor of Science Degree in Business from the California State University of Channel Islands. He previously worked as a financial advisor at Merrill Lynch and Wells Fargo. His industry licenses include: Series 7 and Series 66 registrations held with LPL Financial and Insurance License (Life, Disability, Long Term Care, Annuities). CA Insurance Lic#0H83569. 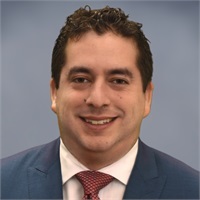 Abner Pacheco is a Client Services Associate with over 10 years of financial industry experience. He began his career as an operations intern at National Planning Holdings, Inc. (NPH), where he handled multiple projects including operations reporting as well as conducting stringent document reviews. He received high praise for his work and his accuracy, along with his exceptional attention to detail. He was ultimately offered a full-time position before being promoted to the position of New Accounts Associate. In his new role, he was tasked with establishing all new account forms, initiate money and fund transfers, while providing excellent customer service. For over a decade he supported financial advisors through new business account opening and processing while guiding them with his extensive knowledge of the financial requirements. Abner also used his drive and dedication to participate in Martial Arts for over 12 years where he would receive medals and ultimately a Black Belt in Taekwondo and Muay Thai. For his achievements and understanding of Taekwondo he was able to teach kids and adults and guide them to becoming more skilled while improving their fundamentals. It was there where he learned to sharpen many talents, not only in martial arts, but also in developing a strategy to better the experience and guidance for other people. Abner was born and raised in Los Angeles where he currently lives with his girlfriend and 4 pets. He enjoys going on hikes, watching movies, and participating in spartan race competitions. Carlos Lluch was born in Barcelona, Spain and came to the USA in the summer of 1980. In 1987 Carlos started his career in financial services. By the early 1990’s he had earned both his CFP® (CERTIFIED FINANCIAL PLANNERTM) and CLU® (Chartered Financial Consultant) designations. Carlos joined LPL Financial in 1995, inspired by their fee based money management platform and independent advice. His practice incorporates asset management for individuals and designing employee benefits, including pension plans, for his group clients. Carlos, his wife Betsy, and their sons Gabriel and Hunter have lived in the Malibu area since 1995. Carlos was active coaching AYSO Soccer for years, as he loves the sport and is an avid Real Madrid fan. Carlos and Betsy love to travel, especially to Mexico, where they own a vacation home near the ocean. They are both extremely active, competing in long distance running and triathlons. 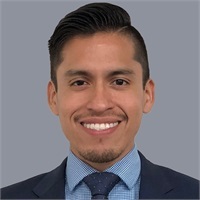 In 2017 Carlos joined forces with the team of advisors at Perennial Financial Services, an established and rapidly growing firm based in West Los Angeles. Carlos strives to help his clients define their long-term investment objectives and build personalized investment portfolios designed to help them word toward their goals. He recognizes the importance of getting to know his clients, their financial needs and goals, and how best to facilitate the maintenance of their desired lifestyle. 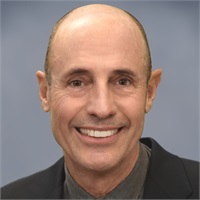 Kelley Curtis has been working with Carlos for many years and is very familiar with the cares and concerns of financial management clientele. Prior to this position Kelley was involved in real estate in the Malibu area, and she understands the necessity of confidentiality in financial matters. She also knows the importance of attention to detail in all she does. As a financial advisor, Shirley makes the complicated simple by educating her clients so they can feel more comfortable about the decisions they make regarding their financial health. She believes that the seeds of our financial future are planted in the steps taken today. Shirley is committed to always doing what is in the client’s best interest and it doesn’t matter if it takes hours to explain investment concepts to the novice investor. She develops a close understanding of her client’s needs in order to create a comprehensive plan which will assist them in pursuing both short and long-term goals. 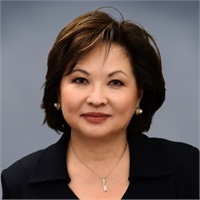 Shirley has over 30 years of financial services experience which included a few years spent at Union Bank in the International Lending Department. She feels that all her past work experiences have prepared her well for the career she has today. Shirley received the Accredited Asset Management Specialist (AAMS®) designation in 2016. Shirley is proud of her two boys, Jon and Johann who have grown up to be kind, compassionate and productive citizens of society. Shirley loves to travel and while Paris used to be a favorite destination, it has now been replaced by Prague. Amy W. Johnson has worked in the financial services industry for almost a decade. She began her career at Chase Bank as a banker, where she quickly rose through the ranks. Eventually, she was promoted to JP Morgan’s Client Banking where she found a passion for assisting clients with their financial planning needs. She specifically enjoyed getting to know her clients on a personal level and providing tailored services to fit their needs. She then decided to move her practice to Edward Jones where she spent the next 4 and half years. Ultimately, she realized she required additional flexibility and an open architecture platform to better serve her clients allowing her to work in a true fiduciary capacity. 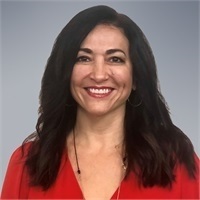 She joined Perennial Financial Services in February of 2019, where she was able to take all of her financial planning experience to the next level for herself and her clients. Throughout her career she has placed an emphasis on providing client focused relationships and building long term strategies by always keeping her clients best interests at heart. She constantly goes above and beyond for her clients and believes seeing their success is the ultimate reward. Amy, her daughter Tiffany and son Alexander currently reside in Redondo Beach. Amy has donated to and attended events for Dress for Success. Currently, she is teaming up with Building Blocks for Kids, helping underprivileged children learn about the basics of investing. Her children are her heart and joy. Tiffany currently participates in gymnastics and is now excited to also play with USYVL volleyball in Hermosa Beach. Alex is an avid baseball player, having played in the Redondo Beach little league baseball for the past couple of years. He is excited to expand beyond the diamond on to the pitch and begin playing soccer. When the children are not participating in team organized activities they work on academics. Amy wanted to ensure they also developed a love for learning. Both children enrolled in Kumon mastering math and reading after school. 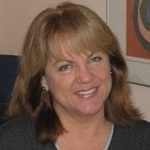 Susan Della Penna is a Client Service Associate with Perennial Financial Services. She has extensive experience within the Building Services industry in sales, operations, customer relations and holds a LEED Green Certification designation. In 2017, she decided to change career paths and entered the wealth management industry. 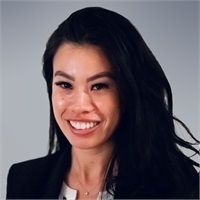 In her previous role at Beverly Hills Wealth Management, she served as the Director of Operations handling customer relations, new account forms, initiating money transfers, office management, vendor relations and billing. Susan currently teaches Krav Maga kickboxing classes, trains private clients and volunteered to train war veterans for LiftVets in her spare time. In addition, she has volunteered with Westside German Shepherd Rescue and Los Angeles Rabbit Foundation. Susan is originally from Ohio. She enjoys kickboxing, Pure Barre classes, yoga and spinning. She’s an avid reader and for the past three years has been part of a business book club.